I don’t know how, but clearly I had never heard of Ovenly bakery. And it looks like it’s awesome. 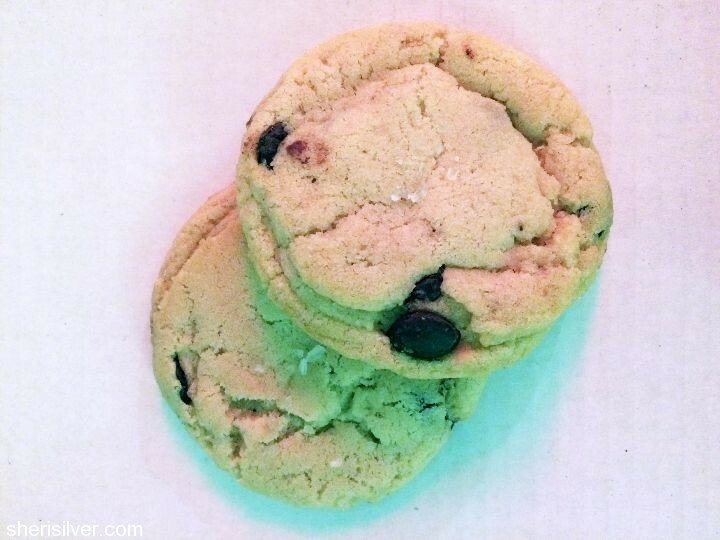 I first read about Ovenly when I came across Smitten’s salted peanut butter cookies – from which I made those almond butter cookies. 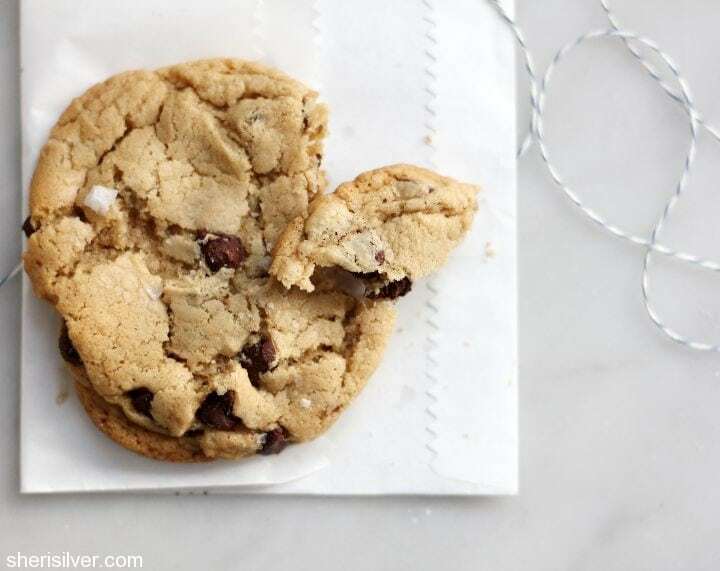 Curious, I took a peek at the Ovenly site and – OMG IT LOOKS ADORABLE! 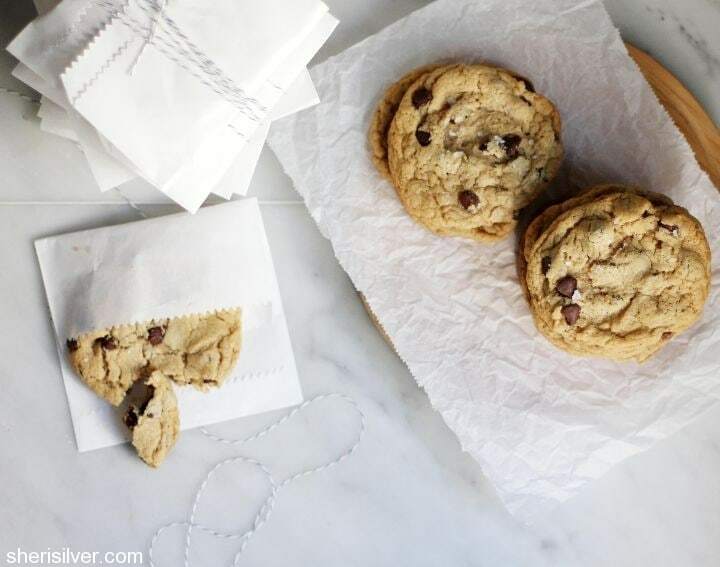 Just a few days later, Food52 posted THIS recipe for what is apparently one of the best chocolate chip cookies ever – and they’re (wait for it) VEGAN! I bookmarked it for a sometime-in-the-near-future attempt. But wait! There’s more still! Clearly I was destined to make these cookies. I followed the Food52 recipe to the letter, and I have to say that these are BEYOND delicious. 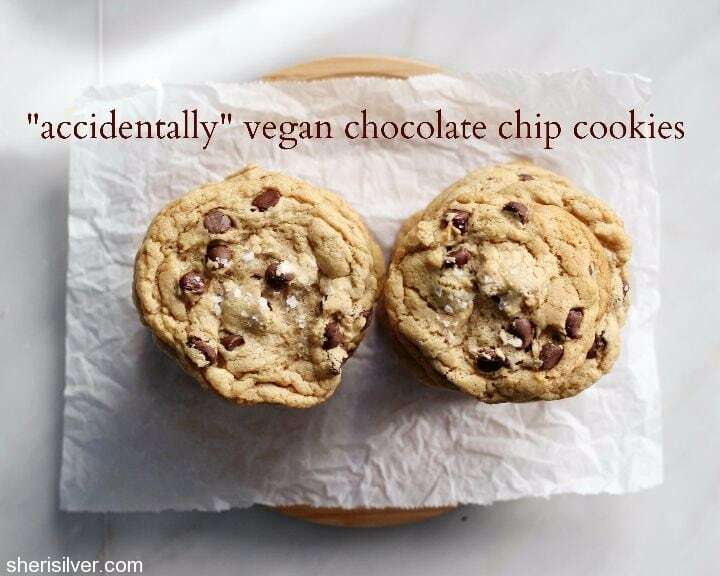 And not “delicious – for a vegan cookie”. But LEGIT delicious. These would be the perfect foodie gift to give a friend who is vegan, or has any dairy/egg sensitivities. 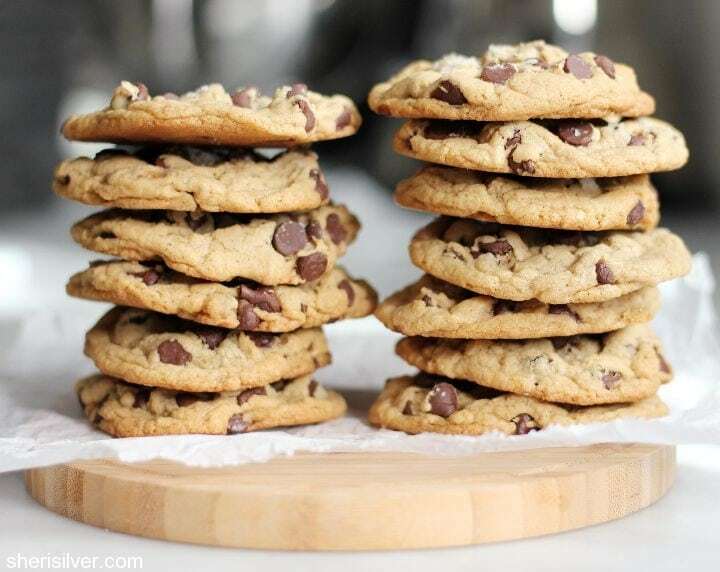 Or just loves a damn good chocolate chip cookie. In a large bowl, whisk together flour, baking powder, baking soda, and salt. Add the chocolate chips to the flour mixture and toss to coat. In a separate large bowl, whisk the sugars with the canola oil and water until smooth and incorporated, about 2 minutes. Add the flour mixture to the sugar mixture, and stir with a wooden spoon or a rubber spatula until just combined and no flour is visible. Do not overmix. Preheat the oven to 350 degrees. Line two rimmed sheet pans with parchment paper. Remove dough from the refrigerator and use an ice cream scoop or a spoon to portion dough into 2-inch mounds. Freeze the balls of dough for 10 minutes before baking to help the cookies retain their shape. Sprinkle the balls of dough with coarse-grained sea salt and bake for 12 to 13 minutes, or until the edges are just golden. Do not overbake. Let cool completely before serving.